​"Hard work beats talent when talent fails to work hard." Order supplies for your child's instrument. ​Free deliver directly to school. Sixth grade band meets every other day in separate classes by instrument. Students learn the fundamentals of playing a musical instrument and advance to play full band sheet music. Seventh grade band is different than beginning band. You will focus more on band music to prepare for concerts instead of only working in the book. You will spend more time working as a full band instead of only by instrument. Seventh Grade band members will perform in the Worlds of Fun Music Festival! Perform in the morning and spend the rest of the day playing in the park with all your friends. Eighth grade band is the premier performing ensemble in the middle school band program. You will play advanced music with a focus on high quality performances. The eighth grade year is the most fun in all of middle school band! 7th & 8th Graders are eligible to try out for Jazz Band. Any 7th/8th grader can join Jazz Ensemble. 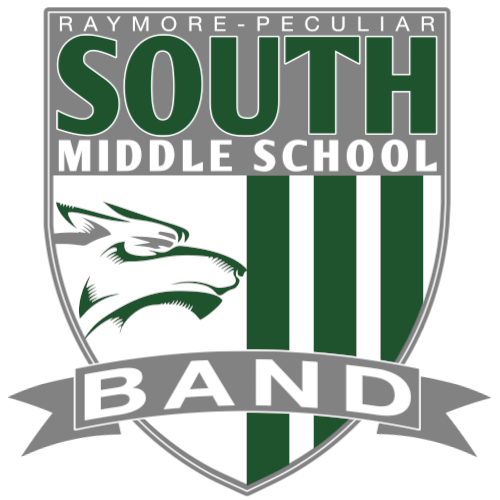 Use the links to the right to see news and updates for South Middle School Band. If an update concerns your child's class, you will usually receive an email notifying you with a link to view the information. If you lose an email, this is a good place to reference to find information. Most information and updates will be communicated through the email address you have on file with the school. Last minute reminders and on-location communication (such as Worlds of Fun or Jazz Festivals) will be sent through Remind. Use the links below to sign up for text or email. All students need parent permission to sign up. Students under 13 will be required to enter a parent's phone or email. Note: To comply with school policy, we will not have a Remind account for 6th graders. Only 7th and 8th graders, with parent permission, may sign up for Remind updates. The Jazz Band travels to several nearby jazz festivals. Students on all band instruments can audition for Jazz Band. The band handbook includes procedures for the SMS Band Program. The document is a work in progress and will be updated, if needed throughout the school year. The most current version is posted below. ​Mr. Jarrett has taught band at Ray-Pec since 2006. He loves having fun and working hard. 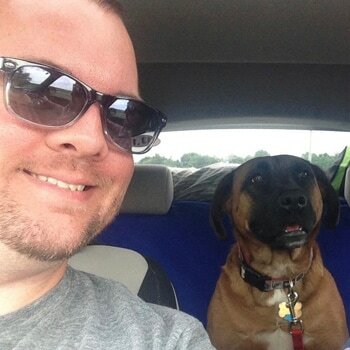 He has a dog named Lola and enjoys taking photographs. This background picture was taken near Seattle, Washington. If you have any questions about South Middle School Band, please use the form below or email dillon.jarrett@raypec.org.